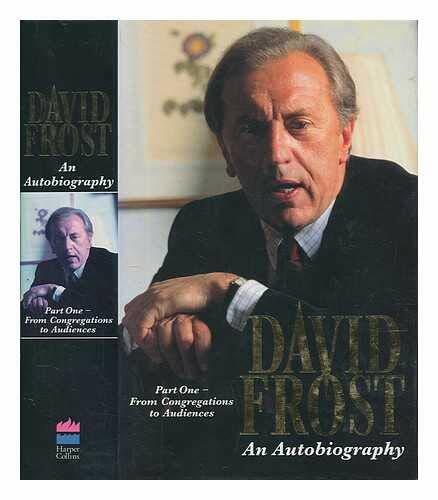 This autobiography gives David Frost's account of the foundation of London Weekend TV, describing interviews with Moshe Dayan, Jane Fonda and Adam Clayton Powell. It also sets out to illuminate some of the great questions of his time and capture the moods of England and America in the 1960s. David Frost is a diverse, long-lasting and innovatory performer on TV. From his earliest days on "That Was The Week That Was" - the show which turned TV in a new direction - to his recent interviews of presidents and prime ministers he has never been far from the centre of events. This autobiography gives the author's own account of the foundation of London Weekend TV and the beginnings of his business interests. But it is in interviewing that David Frost has made an impression and in this book he describes encounters with Moshe Dayan, Sir Oswald Mosley, Cardinal Heenan, Rupert Murdoch, Jane Fonda, Jesse Jackson and Adam Clayton Powell. They also illuminate some of the great questions of his time - drugs, racism, the decline of religious faith - and capture the moods of England and America in the 1960s.